The best part of the walk for us is the ancient monument of Long Meg and her daughters, a Bronze Age stone circle that is cloaked in mystery and legend. 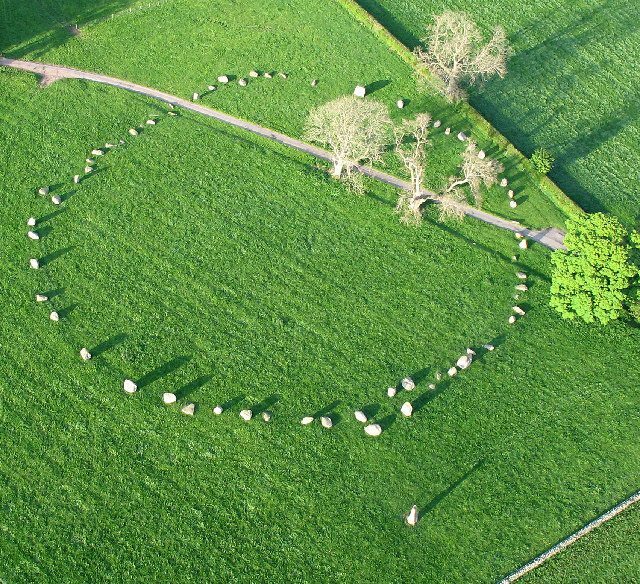 The stone circle is considered to be one of the finest ancient monument in the North of England. 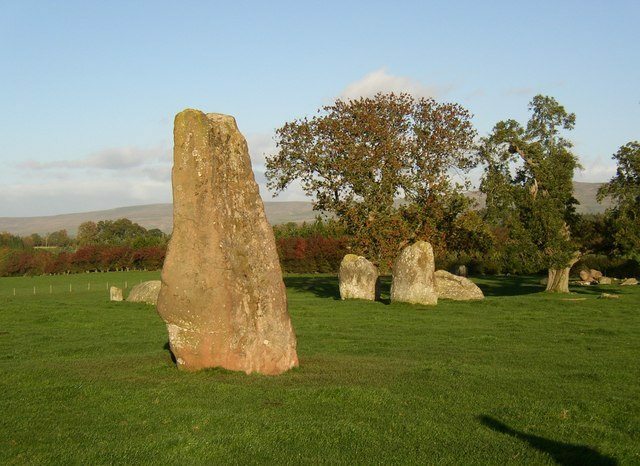 The most famous legend claims that Long Meg was a witch who, with her daughters, was turned to stone for profaning the Sabbath, as they danced wildly on the moor. Other legends claim that they were a coven of witches who were turned to stone by a wizard from Scotland called Michael Scot. It’s also said that the stones cannot be counted, and if anyone is able to count them all twice and arrive at the same number the spell could be broken, or it could bring very bad luck. We didn’t try and count the stones. When first I saw that family forlorn. High praise indeed from Mr Wordsworth. 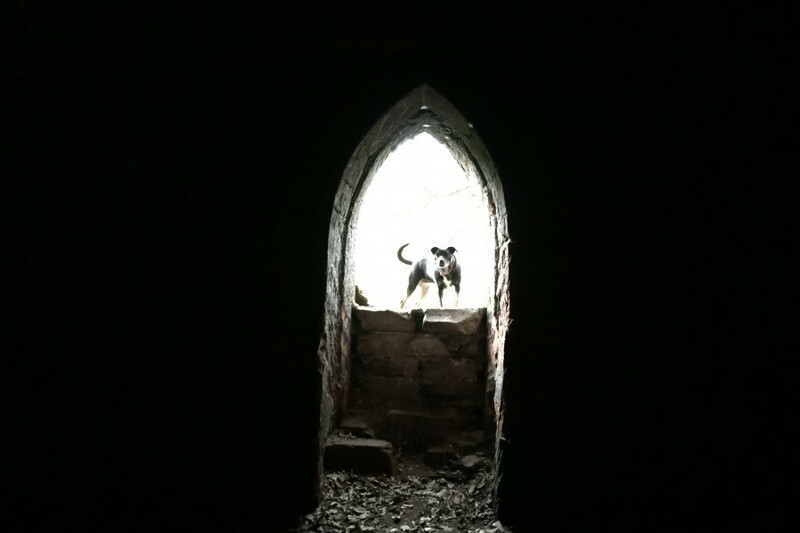 Unlike Stonehenge, where visitors need to stand back behind a rope barrier, it is possible to get up close to Long Meg and her daughters and soak up the atmosphere, and on a quiet day, you can enjoy the monument and it’s eerie aura all by yourself. Caves carved out of sandstone on the bank of the River Eden by Coll. Lacy, very dramatic with an eerie feel. Leah had a great time exploring the caves. We parked in Little Salkeld. If you just want to see Long Meg and daughters, come off the A686 at Langwathby, go through Little Salkeld, continue up the road for about a quarter of a mile and you will find a track that leads to the stones. 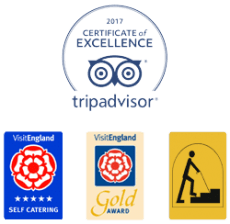 Alternatively, enjoy the full 5.6 mile walk and reward yourself with some tea and cake at the Watermill Tearooms at Little Salkeld. The hot chocolate is particularly good.